Ram has made their business-savvy 2019 ProMaster series more practical and productive than ever, bringing with it a long list of best-in-class systems and capabilities. 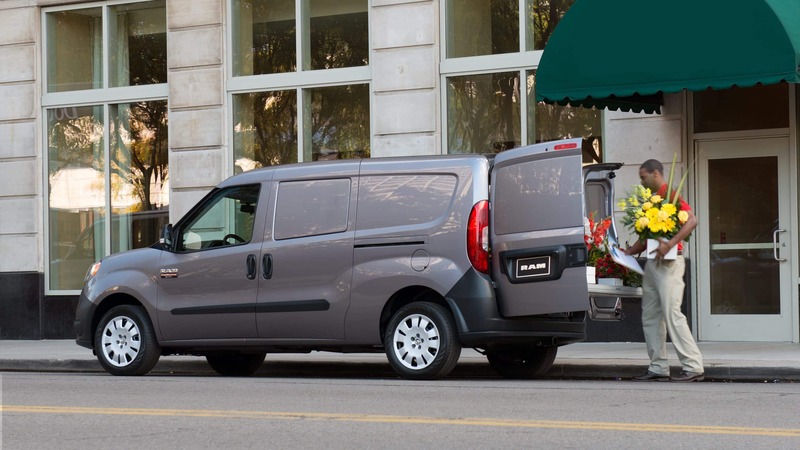 These 2019 models come in three new models to further the flexibility of the ProMaster to suit even more small business needs. Improved systems bring higher hauling and towing weights, too, as well as some of the best handling and power you'll find in the Class 2 van segment. If you're looking for an enhancement in your self-made business, or if you're looking for another addition to your multi-vehicle fleet, rely on the 2019 Ram ProMaster to deliver the best capabilities and performance in the industry today. What's unique about the 2019 ProMaster's powertrain build? Gaining new customers turned lifetime Ram-loyalists, Ram continues to grow sales and emerge as a leader of innovation, power, and capability while simultaneously raising customer savings and lowering costs of ownership. The 2019 ProMaster is an exceptional example of Ram's dedication to its customers' need for performance and functionality. The Pentastar 3.6L V6 comes exclusively with a front-wheel drivetrain. This configuration uses the best-in-class 280 horsepower and 260 pound feet of torque to grant drivers with the best handling of the segment. Its FWD puts all the weight at the front of the vehicle, aiding in stability through rougher weather conditions as well as giving drivers nimble and responsive maneuverability such as its available best-in-class 36-foot turning radius. The FWD also provides a lower loading floor since all of the ProMaster's driving mechanics stay under the cabin space. The Pentastar comes paired with the 62TE six-speed automatic transmission, riding durably, powerfully, and smoothly. To accommodate larger payload weights and capacities, the 2500 and 3500 series vehicles get upgraded to a heavy duty suspension. How many configuration variations are there? For 2019, Ram adds a new series of 136-inch wheelbase equipped vehicles to its already extensive selection of builds as a Medium option between the Standard 118-inch wheelbase and the Long 159-inch wheelbase builds. There's additionally the Extended 159-inch wheelbase vehicles featuring a 13-foot cargo length compared to the Long's 12-foot length. This array of vehicle lengths come in the ProMaster's three-series--the 1500, 2500, and 3500--as well as choice of roof height between the Low 66-inch, High 77-inch, or Passenger-Window-exclusive 106-inch height. To this already impressive variety of 18 combinations, Ram adds a plentitude of models to specialize the ProMaster for exactly the work you come to shop for. There's the Cargo, Chassis, Cutaway, or Passenger Window builds. 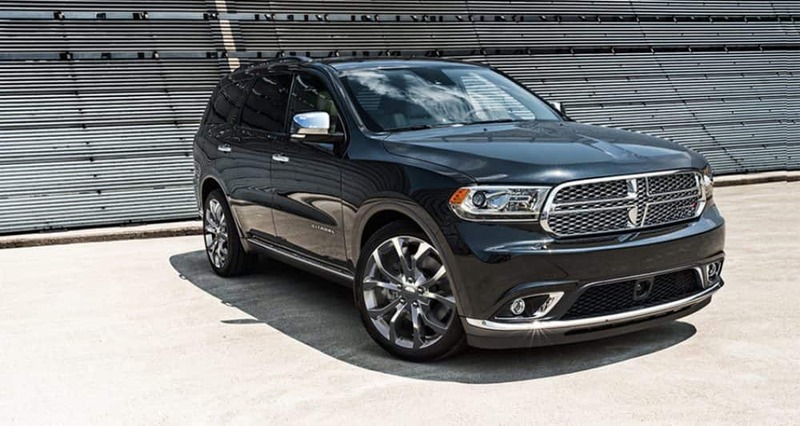 Among these variants, you can find best-in-class cargo width of 60.4-inches and best-in-class 87.2-inch cargo space length, totaling up to the best-in-class overall cargo volume of 131.7 cubic feet! They come primarily in a two-seater configuration, although the Passenger Window model features seating for up to five, coming in two trim levels across all three series models: the Tradesman or SLT. These two primarily differ in offering a few more ergonomic and convenience options, such as heated power-folding mirrors, rear windows, parking proximity sonar sensors, cruise control, heated seats with lumbar adjustments, swiveling seats, cargo-area climate control, and available Satellite radio and navigation. 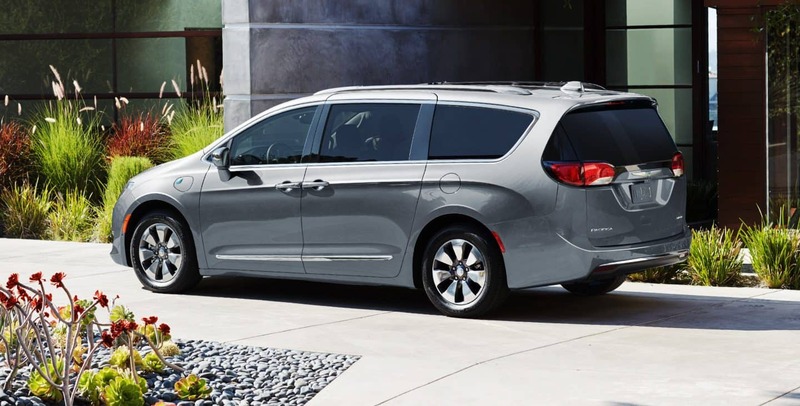 Otherwise, all build variations come equipped with standard remote locking, rearview camera, air conditioning, cloth upholstery, 17 cargo ties, a 5-inch touch radio, two fast charging USB ports, and Bluetooth. What weights can the ProMaster haul and tow? Big cargo spaces better handle big weights, and the Ram offers some of the best capabilities of the class to meet and exceed your needs. Continuously seeking enhancements in its vehicles' capabilities, the 2019 ProMaster has improved its towing capacity by thirty percent to readily handle up to 6,800 pounds being trailered behind. This is achieved via the new Trailer-Tow Group package, equipping the ProMaster with a Class IV receiver hitch and a four- / seven-pin wiring harness. Its payload capabilities across the board has also been improved upon for the new year to boast the highest payload weights in the Class 2 van segment. The 1500 can handle 4,000 pounds, the 2500 up to 4,230 pounds, and the 3500 has improved by 240 pounds since last year to give you a maximum best-in-class weight of 4,680-pound tow capacity! The cargo space's 90-degree walls are upfitter friendly with plenty of aftermarket organization shelving and drawer units. The 2019 Ram ProMaster is every professional's best pick in order to fulfill deliveries, transfer supplies and gear, or transport people. The many builds of this reliable and powerful vehicle cater to a near endless array of businesses and performance needs. Providing you with a unique and functional layout and spaciousness, the 2019 ProMaster is purpose-built and customizable to suit exactly what you're looking for in your next small business vehicle.